The boss of Geely, is the largest shareholder, to become Daimler. Dieter Zetsche, the leader of the German group, says preparations have been made for if the Chinese for a full takeover would want to go. 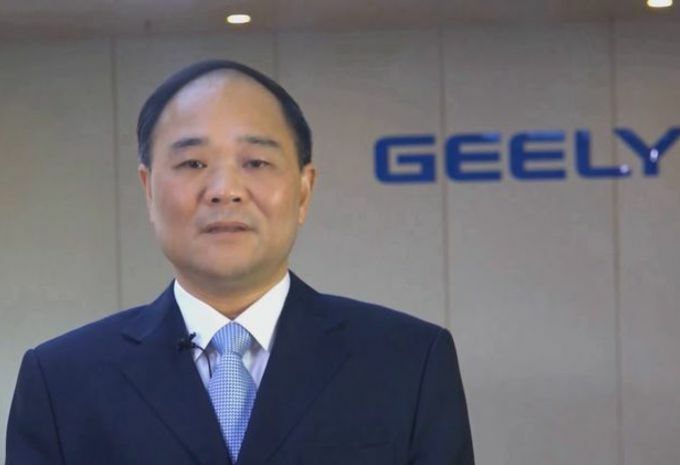 Early this year, Li Shufu, boss of Geely, the largest shareholder of Daimler, the parent company of Mercedes and Smart. Shufu bought for more than € 9 billion of shares in the capital of the German group. He did that discreetly, which proves that behind this great share ownership no acquisition intentions hidden. Also Daimler boss Dieter Zetsche does not believe in a takeover of daimler by the Chinese. He explained to our colleagues from Automotive News: “We are ready for any overnamescenario, but there is within our relationship gene single reason for a takeover to consider”. However, the Chinese government on its large national companies are asked to without hesitation foreign groups to recruit. The aim is to meet the growing Chinese influence, especially in the automotive industry, in international trade to strengthen.